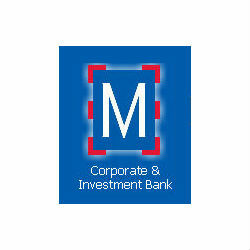 East Africa’s most competitive banking environment, Tanzania, witnesses more financial institutions in the sector experience high growth as Tanzanian Bank M reports excellent performance for the quarter ending March 2013 with a profit increase of 25% in three months. The bank saw a profit of 4.27 billion TZS, an increase of over 25% from the previous year quarter. Banks in Tanzania have been reporting staggering growth and the trend is steady throughout the industry, as the 50 financial institutes offer new and innovative banking solutions to win over Tanzania’s significant bankable market; more than 70% of the population. Bank M has operated in Tanzania since July, 2007 and since then it has built a banking and loan portfolio spanning across all sectors of the Tanzanian economy; trade, construction, manufacturing, engineering, agriculture and real estate industries.